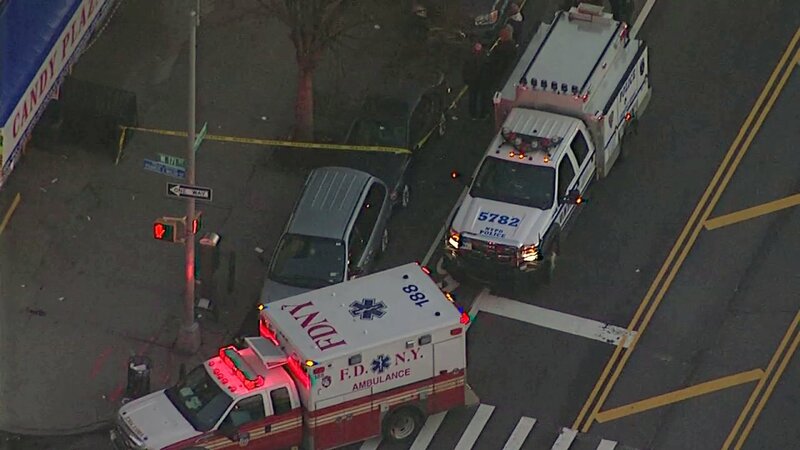 WASHINGTON HEIGHTS, Manhattan (WABC) -- A suspect is in custody in an attack that injured five people Wednesday at what police are calling an illegal gambling hall in Washington Heights. The NYPD charged Remi Valdez-Senn with five counts of assault, criminal possession of a weapon and disorderly conduct. He'll be arraigned Thursday in Lower Manhattan. Police said the violence broke out at in a basement pool hall, located at Amsterdam Avenue and West 171 Street, just before 6 a.m.
A 31-year-old man and a 24-year-old man were stabbed in the stomach. A 28-year-old man was slashed in the chest. A 44-year-old woman was slashed in the chest and a 30-year-old woman was slashed in the face. The victims were taken to Harlem, St. Luke's and Columbia Presbyterian hospitals. None of the injuries was life threatening.